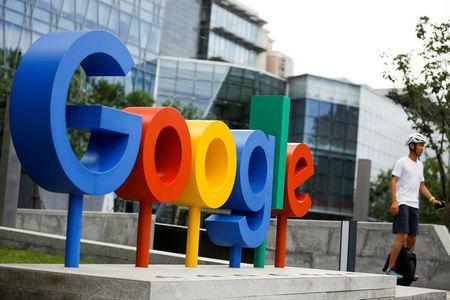 (Reuters) - Google has added a section to its twice-yearly transparency report to show who buys U.S. election ads on its platform and how much money is spent on political advertising, the search engine giant said on Wednesday. The move follows similar steps from Twitter and Facebook in late June, as social media platforms face the threat of U.S. regulation over the lack of disclosure on such spending. The new data https://transparencyreport.google.com/political-ads/overview?spend_by_geo=state:&lu=spend_by_geo from Alphabet Inc's Google gives details on advertisers who have spent more than $500 on political ads from May 31, 2018. With a spend of $629,500, the Trump Make America Great Again Committee, a fundraising organization for President Donald Trump and Vice President Mike Pence, stood as the top U.S. political ad spender, according to the data. Google said it would update the report every week and the public can view new ads that get uploaded or new advertisers that decide to run ads.